Winter Squash Pimenton Preserved Lemon Soup makes a beautiful presentation. During the winter when local produce is nearly non-existent, I buy a lot of my produce from a local Asian supermarket. The owner travels to Chinatown several times a week and brings back fresh Chinese green vegetables, along with daikon radishes, lemongrass, and kabocha squash, a member of the pumpkin family. 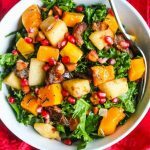 Kabocha squash is high in fiber, vitamin A and vitamin C, so it’s a healthy addition to any menu. 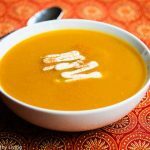 Usually, I prepare kabocha squash using Asian flavors in soup, a main course or dessert, but recently, I came across a recipe for Winter Squash Pimenton Preserved Lemon Soup that sounded intriguing. 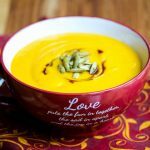 When I spotted this recipe for Winter Squash Pimenton Preserved Lemon Soup by Melissa Hamilton and Christopher Hirsheimer, publishers of the Canal House cookbook series, it immediately caught my eye. You see, I happened to have a small stash of leftover preserved lemons (from making Dorie Greenspan’s Chicken in a Pot), and a kabocha squash that’s been sitting on my kitchen counter for about a month (they keep a long time, thankfully), so this recipe was the perfect answer to using up both ingredients. I hate throwing food away so when I find myself with odds and ends, I tend to keep an eye out for recipes that can use them up. 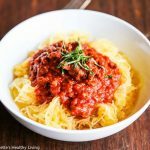 The recipe also called for Pimenton, a Spanish Paprika that has a smokey quality and typically comes in different levels of heat – sweet, medium and hot. Simply served as a rustic soup. 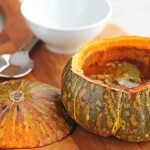 I love the idea of cooking and serving the soup directly in a squash “bowl.” The presentation is rustic yet elegant. This past fall, I made a Beet and Apple Soup served in an acorn squash “bowl,” which made for a pretty presentation. 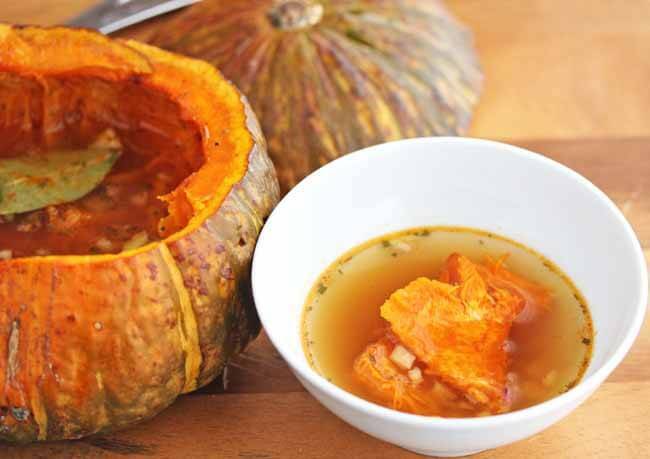 This soup was particularly simple since all the ingredients were placed right inside the squash “bowl,” and then roasted in the oven. 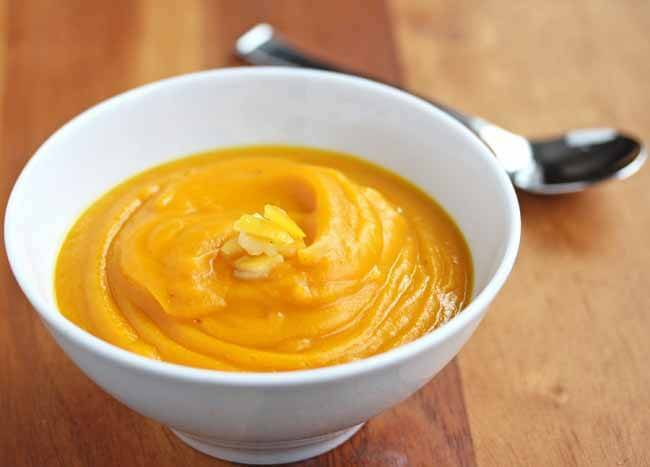 To serve, the inside flesh of the roasted squash bowl was gently scooped out along with the broth into bowls. This is a nice, light soup, smoky from the pimenton, balanced by the mellow preserved lemons and garlic. Definitely a clean healthy soup. Today, a group of bloggers are celebrating two women, Melissa Hamilton and Christopher Hirsheimer (yes, this is a woman), who were named in Gourmet Live’s Top 50 Women Game Changers In Food. Although I had read about the Canal House a few years back in the New York Times, I did not know much about these two women until this week. Ms. Hirsheimer was food and design editor of Metropolitan Home magazine for years, and one of the founding editors of Saveur, where she met Ms. Hamilton, a chef and restaurateur. Ms. Hersheimer has written four cookbooks on her own, and has been the photographer for cookbooks by Jacques Pepin, Lidia Bastianich, Mario Batali and Rick Bayless. Ms. Hamilton was a chef who worked as an editor and test kitchen director at Martha Stewart Living, Saveur and Cook’s Illustrated. These two women opened up the Canal House studio along the canal in Lambertville, New Jersey, in 2006 as a photo and design studio for cookbooks and magazines to begin with. Their love of gourmet home cooking lead them to self-publish a series of cookbooks, published three times a year. The Canal House now serves as their workshop, dining room, office, and kitchen. Together, Ms. Hamilton (chef/food stylist/recipe developer/writer/illustrator) and Ms. Hersheimer (photographer/editor/writer) have self-published a series of seven Canal House cookbooks plus a book on Italian food so far which feature their rustic and seasonal cooking that reflect their belief that the “everyday practice of simple cooking and the enjoyment of eating are two of the greatest pleasures in life.” I would love to get my hands on one or more of the Canal House Cooking volumes. Each volume houses about 75 recipes featuring a single cuisine, e.g., Summer, Fall & Holiday, Winter & Spring, Farm Markets and Gardens, A Taste of Italy, and includes food photographs by Ms. Hersheimer and watercolor illustrations by Ms. Hamilton. When I sat down to eat this simple, clean soup, I could picture myself sitting at the kitchen table at The Canal House having lunch. 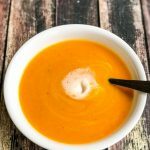 This soup was even better the next day, pureed with some chicken broth. Yes…I actually had a bowl for breakfast. Guess that counts as one of my servings of vegetables ;). I loved this soup pureed. Adapted from Melissa Hamilton and Christopher Hirsheimer. The original recipe calls for a 8-10 pound pumpkin. Here, I've used a smaller winter squash called Kabocha Squash and have adjusted the ingredient quantities. I enjoyed this soup even more pureed. Put kabocha squash in microwave and cook on high for 1 minute. This will make it easier to cut off the top. Cut out a lid around the stem of the squash. Scrape out and discard the seeds and any stringy parts. 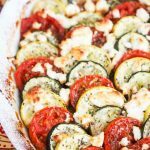 Place squash on lightly oiled baking sheet, including the lid. Brush the inside of the squash and the fleshy part of the lid with olive oil. Season with salt, pepper and pimenton. Place lid flesh side down. Add lemon rind, garlic and bay leave to cavity of squash. Fill squash halfway with stock. 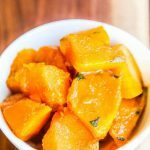 Roast until flesh is soft when pierced with a sharp knife (be careful not to puncture skin of squash), about 35-45 minutes depending on the size of the squash. Present soup for serving with lid on top of squash. To serve, gently scrape flesh from sides and bottom of squash into bowls. Ladle broth into bowls. You always take such gorgeous shots of your chosen recipes Jeanette. Perfect choice to highlight these women. This sounds fantastic. I love the combo of the preserved lemons, pimenton, and squash. That photo in the squash is just to die for. What a beautiful, nutrient rich soup. Your photos and presentation are stunning Jeanette. That squash bowl is so beautiful—I’ve been dying to experiment with the more exotic varieties. 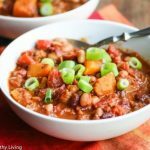 Your rustic version looks so deliciously simple, this has really inspired me, I’m heading to our winter farmer’s market tomorrow, I’m going to hunt down some interesting squash! Adore this squash and like your takes on using it. My back porch has a nice variety of winter squash right now (including pumpkins I’ve saved) and I think I’ll try this one. Beautiful pics! What a gorgeous soup with really unique layers of flavor. I often find unusual fresh veggies in the local Chinese market – it’s time I made another visit. Thanks everyone for your comments! 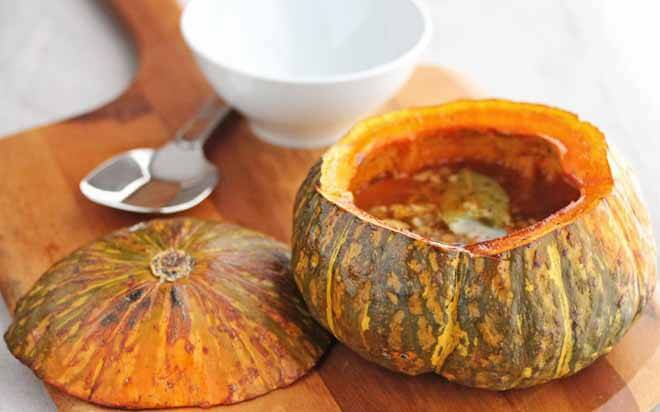 The squash does provide a naturally beautiful vessel to serve the soup from doesn’t it? i love kabocha~! i usually just steam and eat. i think i can eat the entire squash by myself. 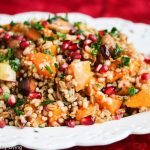 i love how flavorful it is yet lower in carbs unlike the other winter squashes. i like it when the kabocha is more potato-like in texture rather than squash like! i think the trick is getting a darker kabocha versus a light green one! Junia, I do like the consistency of Kabocha Squash. That’s interesting that the darker kabocha squashes might be better than the lighter ones. Thanks for sharing. They do look like two completely different soups don’t they, one rustic, the other more refined, but both delicious. This sounds really flavourful and pleasant! I’ve never tried kobocha, but I’m going to have to try it know. It really makes a nice presentation served as a bowl. What a great idea to serve that in the squash. What a great presentation. I agree very elegant and smart I always thought you should garnish what you use in the recipe. You took it to a whole new level. I will have to try this sometime. Thanks for sharing with us. Kabochi squash, one of my favorites, it has such a nice texture. Beautiful presentations and photos, really like the bowl of pureed.. 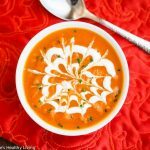 This soup looks delicious…squash soups are a favorite of mine! Love the different flavors that were added…Yum! Just printed your recipe…I have to make it! I’ve been looking for great ways to use my preserved lemons. I think this sounds so lovely and different from the Moroccan flavors I have been working with.